Out of unsweetened cocoa powder? Here are two substitutions you can make if you don't have the time—or desire—to run to the store for more. Just pick the one you'd like to use, and your recipe will be back on track in minutes. 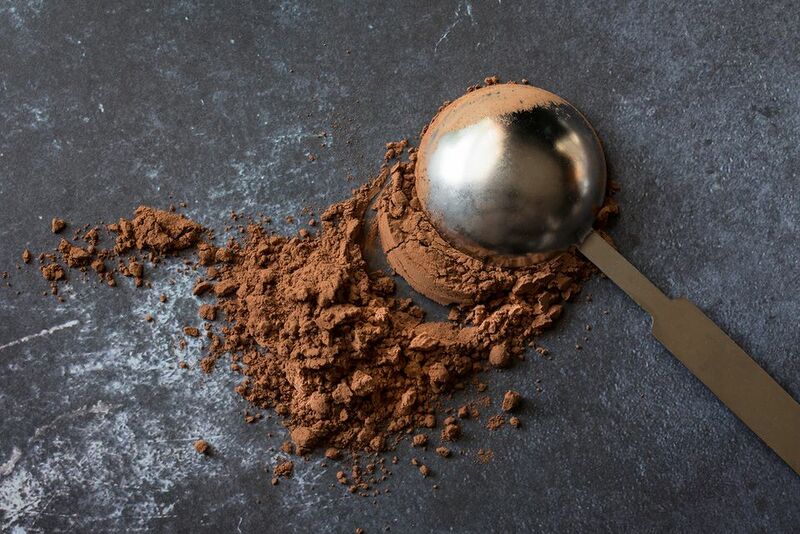 Depending on which ingredients you have in your pantry, you have two options when it comes to replacing unsweetened cocoa powder. You can combine​ the Dutch-process cocoa powder with an acid (cream of tartar, white vinegar, lemon juice) or use unsweetened baking chocolate in place of the unsweetened cocoa powder. Dutch-process option: Replace the unsweetened cocoa powder called for with an equal amount of Dutch-process cocoa. Then, bump up the acidity in the recipe by adding 1/8 teaspoon of cream of tartar, white vinegar, or lemon juice for every 3 tablespoons of cocoa powder used. The main difference between Dutch-process cocoa and unsweetened cocoa is the acidity. Dutch-process is pH neutral, while unsweetened cocoa is acidic. So, if you add an acid to Dutch-process cocoa it will react very similarly in a recipe. You may find that your recipe comes out a bit darker than usual since Dutch-process cocoa is darker in color, but when is a more chocolaty-looking recipe ever a bad thing? Unsweetened baking chocolate option: Swap 1 ounce of unsweetened baking chocolate for 3 tablespoons of unsweetened cocoa powder. Then omit 1 tablespoon of butter, oil, or shortening from the recipe to account for the higher fat content in the baking chocolate. To make this substitution work, melt the unsweetened chocolate and add it to the recipe when you add the sugar and butter. This will ensure that it gets well-integrated with the other ingredients. Just know that your recipe probably won't taste quite as chocolaty as usual. Unsweetened cocoa has more cocoa solids, and that's where the flavor comes from. Your recipe will still taste good if you make it with unsweetened baking chocolate, but it won't have that off-the-charts chocolate flavor that the author of the recipe likely intended. And you may also notice other subtle differences in the texture of the finished product. Can You Substitute Cocoa Mix for Cocoa Powder? The short answer is yes, you can in a pinch, but it's a poor substitute. Cocoa mix contains only a small amount of cocoa powder, along with a lot of sugar, powdered milk, and who knows what else, so if you replace it measure for measure, you'll only be getting a small portion of the intended cocoa powder in the recipe, along with a bunch of extra ingredients. This will have all kinds of unintended negative effects on your recipe.